Lunar skies Jewelry, handmade one of a kind pieces that make a fashion statement. 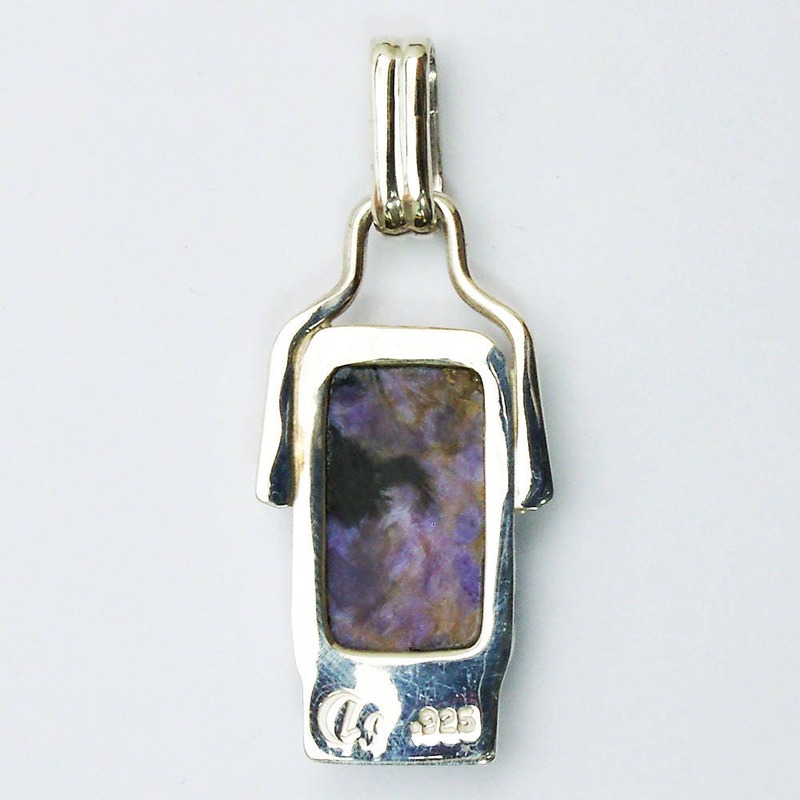 Custom pieces are also available, which allows you to be part of the creative process. 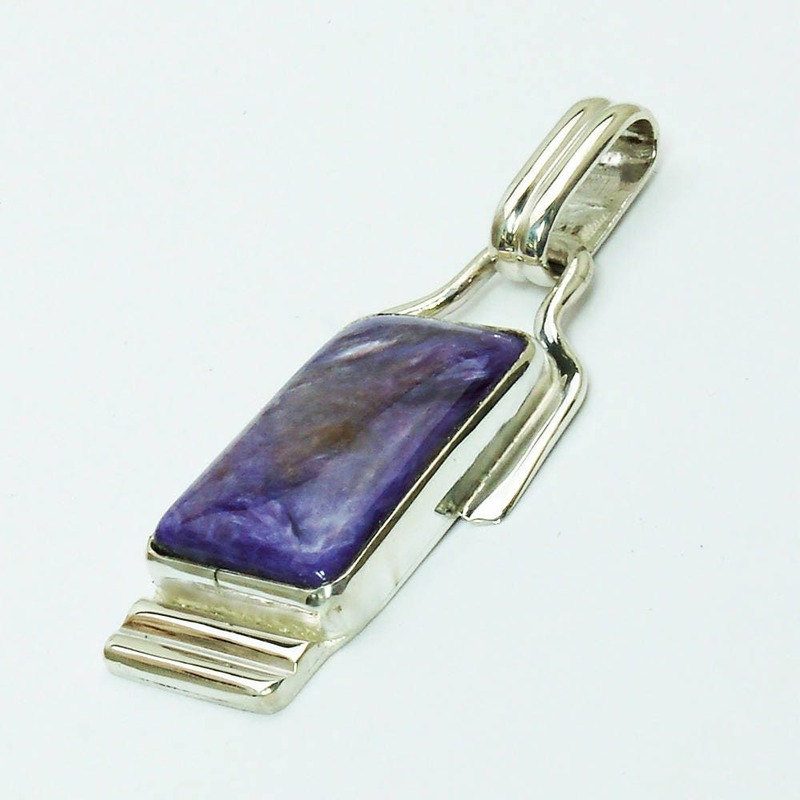 Charoite Pendant set in Sterling Silver, 48.69 x 19.44mm. 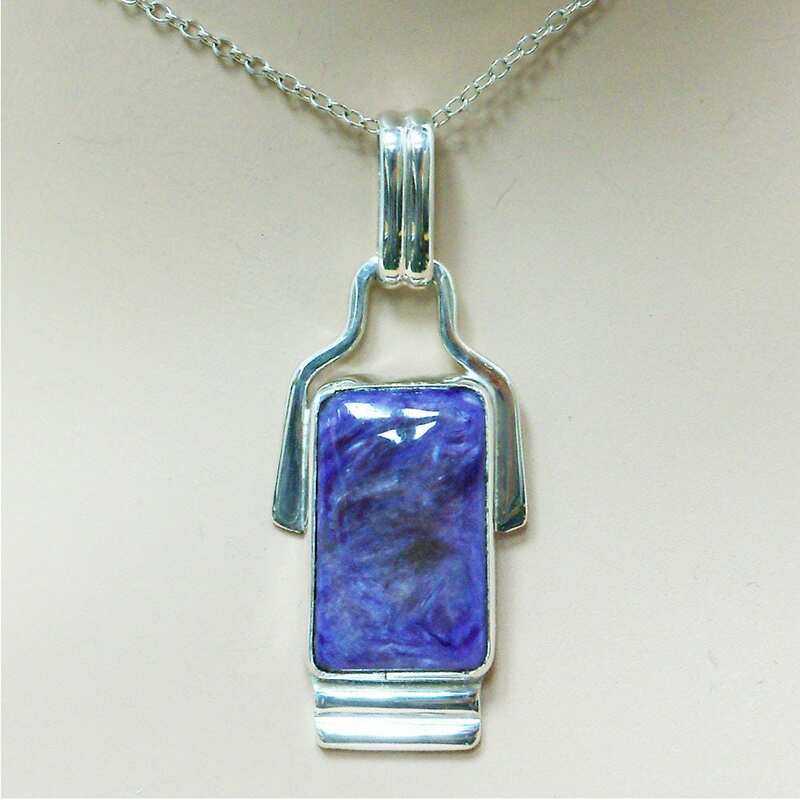 Hand-crafted silver and gemstone pendant, hand-cut Charoite set in 925 Sterling silver setting. This is a one of a kind (ooak) art piece. 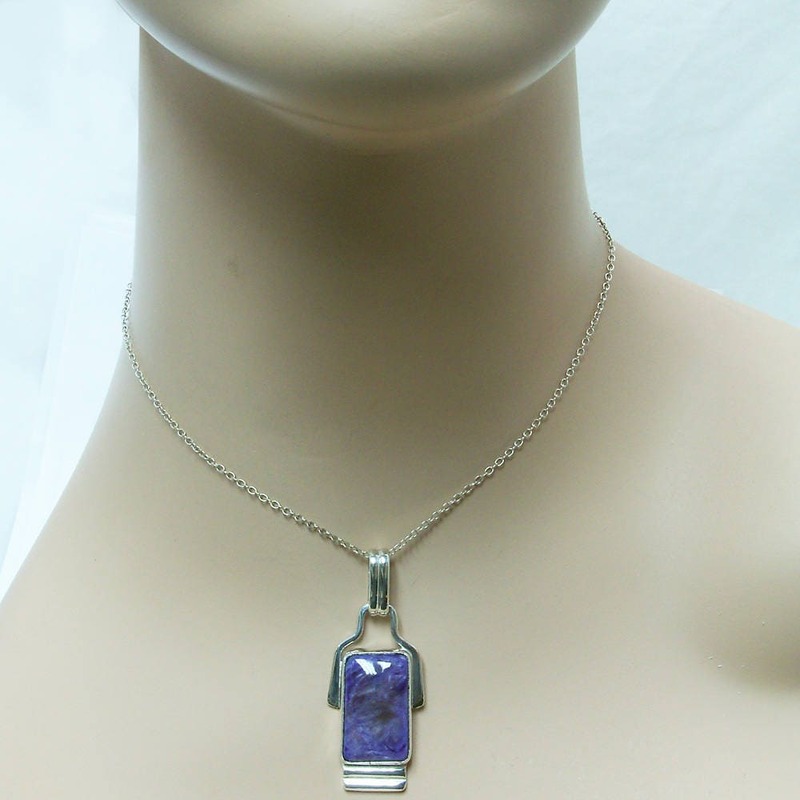 I personally hand selected the gemstone, then hand forged the metalwork with and open back to take advantage of its beauty. Ranges in color from a cotton candy lavender to lilac to purple with patterns of swirls, feathers, and needles. May also contain patches or stars of black, orange or green. 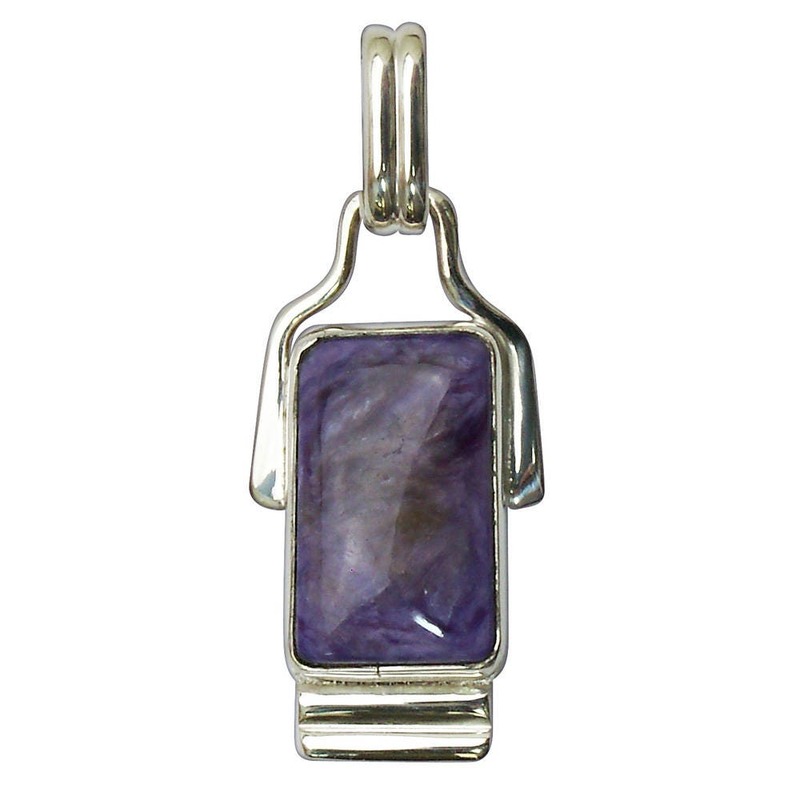 Rich in texture, some charoite can appear to gleam or shimmer. Payment accepted using etsy direct checkout or PayPal. An invoice will be issued via email, payment can be made using most credit/debit cards or a PayPal transfer. Shipping via USPS 1-2 business days to U.S.A addresses at no cost to buyer. Expedited shipping and shipping outside the U.S. will be charged per order as applicable. If you are not satisfied with your Lunar Skies purchase you may return it for an exchange, credit, or refund. Any return must be received in the condition it was in when originally purchased.